The Warriors won a third NBA title in four years. 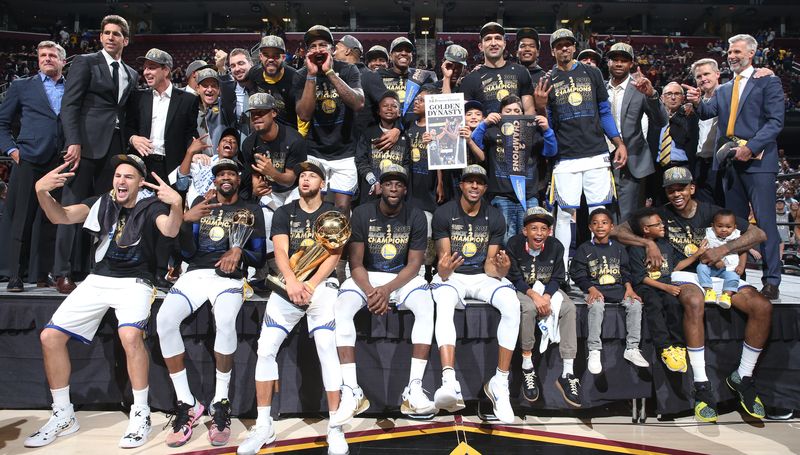 The Golden State Warriors closed out a sweep of the Cleveland Cavaliers in the NBA Finals, romping to a 108-85 win in Game 4 to win their third title in four years. Kevin Durant, who was named Finals MVP for the second year running, and Steph Curry performed the last rites on the Cavs’ season with ruthless performances that will live long in memory. 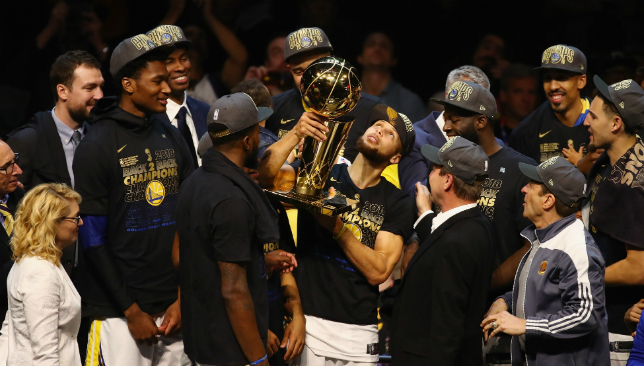 Here are Seven Deadly Stats from the Warriors’ triumphant Finals win. 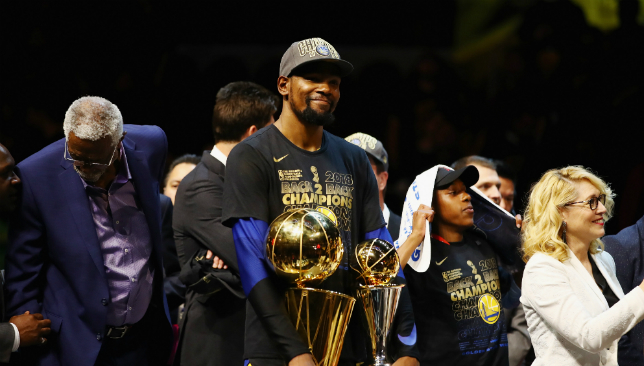 This postseason was all about elevating themselves to the status of dynasty for the Warriors. And although there were a few hiccups along the way, especially the dogfight that was the Western Conference Finals against the Houston Rockets, they got there in the end. The Warriors are the 4th different NBA franchise to win at least three titles in a 4-season span. They join the Lakers, Celtics and Bulls. The Warriors’ third-quarter surges have become the stuff of legend. The last two games of the conference finals was proof enough – they overturned double-digit halftime deficits in the space of one quarter both times – but the last game of the Finals served as an encore, as they blew the game open with a typical third quarter. The Warriors outscored the Cavaliers by 12 points in the 3rd quarter. Durant is the player who’s made the Warriors virtually unbeatable, but Curry remains the engine of the team. He averaged 27.5 points, 6.0 rebounds, and 6.8 assists in the Finals, scoring 37 points in the clincher to put himself in a select group of players. Speaking of Durant, he’s in an even more select group after his performance in these Finals, winning the series’ MVP award for the second year running. It was a close call between Durant and Curry, but the former’s Game 3 performance – 43 points and a dagger three-pointer – probably clinched it in his favour. And on the off chance there was any room for doubt after that, Durant’s Game 4 performance sealed it. Even though Curry scored 37 points, a triple-double to close out a championship series is hard to top. Speaking of hard to top, LeBron James was so ridiculously good this postseason, there’s only ever been one playoff scoring run better than this. And of course that record belongs to Michael Jordan. Will the debate ever end? James’ primary strategy on offense was to target the obvious mismatch: Curry. But the Warriors point guard did a good job of minimizing the damage – as did his teammates’ help defense whenever this matchup presented itself.